Crowns strengthen damaged teeth, allowing them to function normally again. When crafted from today's high-tech porcelains (dental ceramics), crowns are virtually indistinguishable from natural teeth. There's so much that can be done these days to improve the appearance of a person's smile — at any age. Welcome to Robin D Lobato, DDS, where we love giving people back their smiles! Our Summerlin, Las Vegas dentist believes our team’s commitment to continuing education along with our upbeat and professional, yet personable, approach is what has kept patients coming back for over 25 years. 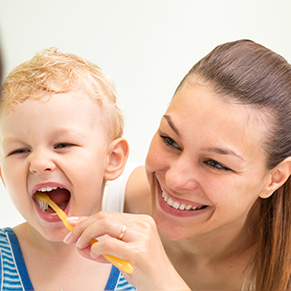 At [Name of Practice] our philosophy is to provide treatment to the whole person – with a special focus on how your teeth and gums relate to your total body health. We want you to be confident that your smile achieves your goals for comfort, function and appearance. We’re here to make that happen. We also understand that choosing a Las Vegas dentist is an important decision. After all, your smile is your greatest asset and says a lot about your overall health. From the moment you walk in the door, you’ll be welcomed by a caring staff in a relaxed, stress-free environment where the whole family can feel at ease. Robin D. Lobato, DDS PC offers a full range of dental treatments at our office to help you achieve your perfect smile, such as cosmetic dentistry, teeth whitening, crowns and implants, preventive care or periodontal exams. 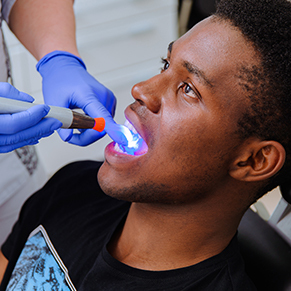 We utilize the latest in dental technology and techniques in order to offer you the best preventive care and treatment available in Las Vegas. To learn more about our comprehensive service offering, talented Las Vegas dentists and office procedures, take a few moments to look over the informative pages on our website. For additional information, you can always contact our office by calling or stopping in. 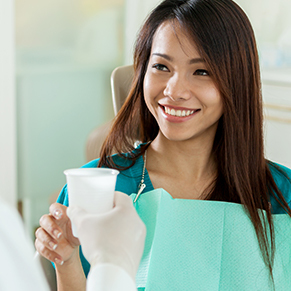 Dr. Lobato and our dental team of dedicated professionals have the expertise and compassionate nature to provide complete oral health care services to those living and working in Las Vegas. Relax with confidence at Robin D. Lobato, DDS PC. We’re your neighbors and we’re here to help you maximize the health of your smile. GreenSky Patient Solutions ® Program offers leading financial technology to Providers throughout the country to offer you fast, frictionless and attractive promotional financing options to our patients who qualify for financing provided by federally insured, federal and state chartered banks. The GreenSky Patient Solutions(r) Program makes it possible for you to receive the healthcare treatments and services you want with affordable monthly payments. Summerlin-Las Vegas general and cosmetic dentist, Dr. Robin Lobato is a native Nevadan and graduate of the University of Nevada in Las Vegas as well as the Marquette University School of Dentistry. He worked in private dental practices after graduating in 1992 and opened his own practice — his present office — in 1999. "Words cannot do justice for Dr. Lobato and his excellent crew of professionals!" "As someone who gets anxious when it comes to attending the dentist, I walked out of the office feeling great. Dr. Lobato and his staff went out of their way to make sure I was doing okay throughout every step of the visit. I was extremely pleased with the work done. Thank you for giving me my smile back." "I can't say enough how enjoyable it is to visit Dr. Lobato and his staff. They are very friendly, caring and professional. I have recommended family and co-workers to have their dental needs taken care of and they have been pleased with the service as well." "I can't give Dr. Lobato and his staff enough kudos! Always kind and courteous and never pushes services on you. You're given all the options and the choice is ultimately yours to make. Also, my husband has anxiety about dentist appts. so Dr Lobato offers sedation dentistry which is amazing! Overall he has seen my entire family and we live across town but still make the trek since him and his staff are awesome!!!" "Dr. Lobato is a consummate professional as well as a great dentist. He combines old school dentistry with state of the art-cutting edge dental technology. In addition, his office staff including the front desk, dental assistants, and hygienists are all very professional and friendly. 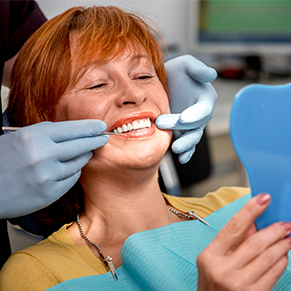 I would recommend Dr. Lobato whether you need basic dental services like cleanings and cavities filled or more advance procedures such as restorative dental work, or cosmetic dentistry. He is absolutely a great dentist." "Usually I like to start off a review of something with a joke and whatnot, but I'll spare the humor out of respect for the excellent treatment I've gotten from Dr. Lobato and his team. I LOVE everyone at this office. I won't use anyone else. The staff cares and they explain things thoroughly. I don't hesitate to recommend anyone and I honestly hope that people take my advice and go to Dr. Lobato's office when looking for a great dentist. I always get there a little early and he has meetings with all of his employees and all I've ever overheard was how important it is for them to treat patients with specific problems the right way and how much concern there was for those patients. That goes WELL above and beyond what any dentist in Las Vegas does and it's a great testament to Dr. Lobato's character. I'm a customer for life." "Dr. Lobato provides an exceptional level of professional dental care with a personal touch. Three generations of our family are loyal patients to this office. I say the office because not only does Dr. Lobato maintain state-of-the-art equipment and dental techniques, but he has assembled the best dental support staff in Las Vegas. Everyone from the receptionist and billing personnel to the dental hygienists and dental assistants are thoughtful, efficient, caring and very well versed in their respective positions. Top-notch professionals in every sense of the word!" "I have been a patient of Dr. Lobato for quite some time and he is beyond fantastic. He’s honest, caring and really good at what he does. Now that my teeth are all healthy thanks to doc, I just come in for my regular cleaning and exrays. Kris was my hygienist today and she was OUTSTANDING. I’m obsessed with how to keep my teeth and mouth healthy and she answered all of my questions and helped me make sure I was using the right tools. I’m really happy with my thorough cleaning too. Thanks Kris for the knowledge and as always thanks to Dr. Lobato and staff." "I have been to many dentists over the past 30 years that I have lived in Las Vegas. I have never been treated with as much care and concern not just from the dentist but the entire staff. I love this office. They are kind, courteous and helpful. They go the extra mile to make sure you are happy and work within your insurance benefits. His work is beautiful and he explains everything as he works on your mouth. I know I will never go to another dentist as long as he is practicing. Oh and did I mention ..... They run on time :)"
"Dr. Lobato has been the dentist for our entire extended family for more than 25 years. The fact that he is very well trained and surely adept is apparent from the 1st visit. His entire organization is very well trained and all patients feel that their time is the most important factor to all the staff. Dr Lobato and his associates always explain every step of every procedure in depth and answer all questions in an understandable manner. Dr. Lobato constantly exhibits state of the art methods and materials that attest to his striving to remain at the top of his field. His practice reflects a level of excellence that is difficult to find in our profit first society."